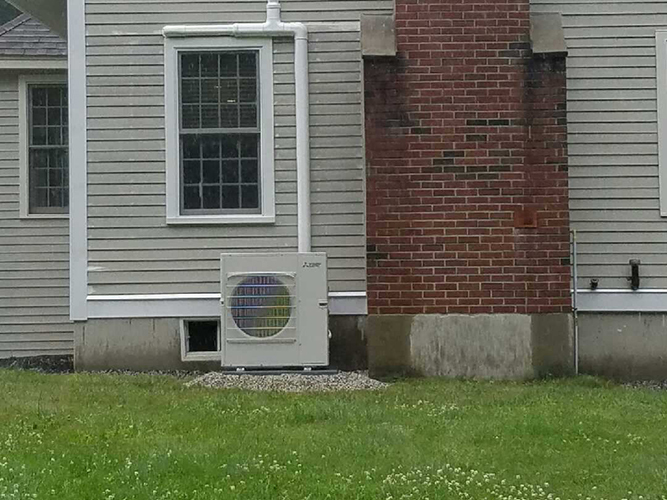 Problem: The homeowners were unhappy with window units, but conventional central A/C was not an option in this large colonial, due to the finished attic and basement spaces, and the complexity of the layout. 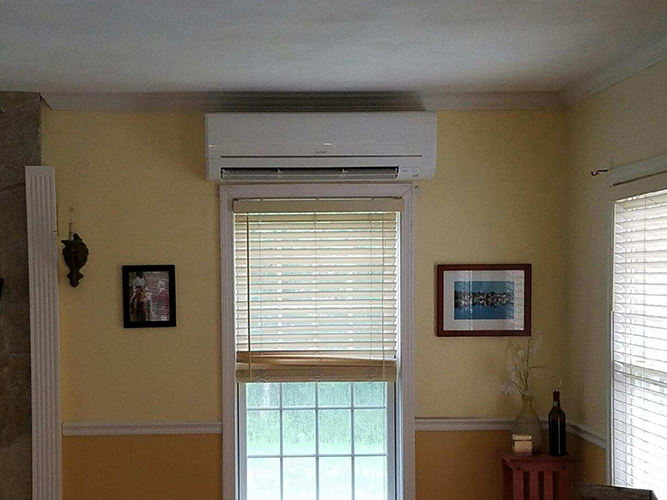 Solution: A multi-head Mitsubishi ductless system offers zoned comfort, as well as future expandability for additional areas in the home! 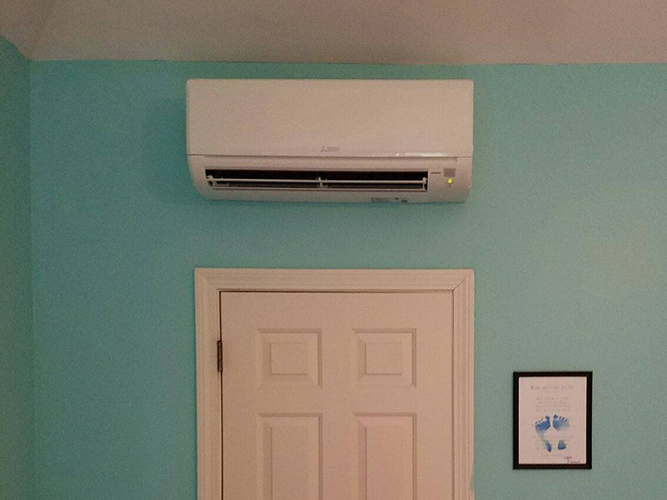 After spending their first summer lugging window units up and down from the basement, these homeowners decided to search for a more permanent solution to their hot living spaces. 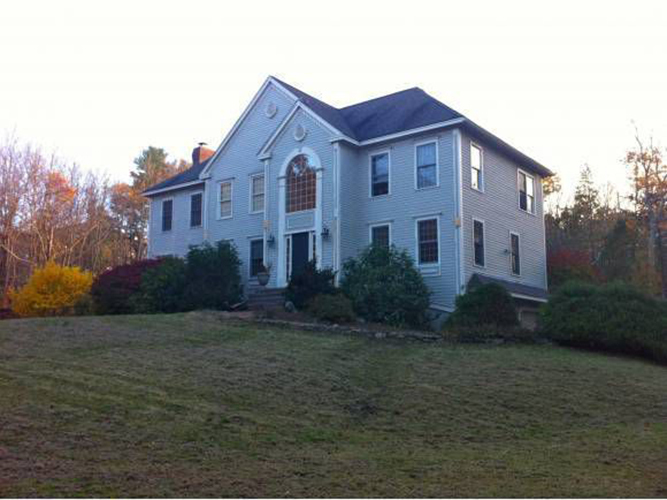 Enter East Coast HVAC – We set them up with a multi-head outdoor unit, which can be paired with up to five indoor units. To spread out the associated costs, the homeowner opted to install two indoor units for now (living and bedroom) with future plans to install the other three in Spring 2018. The living room wall unit takes care of the entire open-concept first floor!